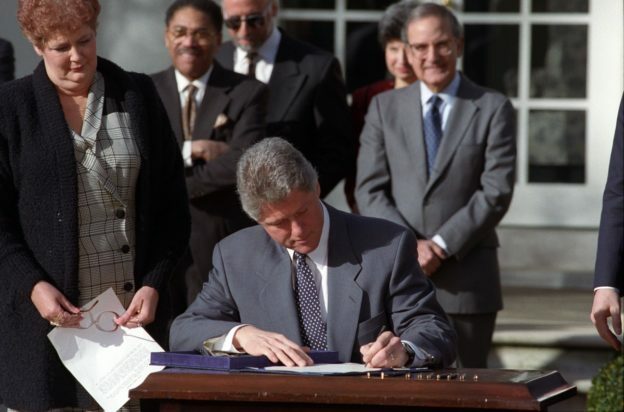 February 5th is the anniversary of the Family Medical Leave Act, which was passed in 1993. This law gives employees up to 12 weeks of job-protected, unpaid leave. The Family Medical Leave Act (FMLA) was a huge step forward for working families, but it still excludes many. The Washington Center for Equitable Growth estimates that half of all working parents and 43 percent of women of childbearing age are excluded from FMLA coverage due to outdated eligibility requirements. Family leave policies need to be updated for 21st century workplaces and include low-wage earners. Even if a worker qualifies for FMLA coverage, in many cases, they can’t afford to take it. Quite simply, far too many people can’t weather the sudden loss in income, and often fear they will lose their job if they take unpaid leave. Family leave needs to be paid for workers to utilize it, but paid leave remains rare in U.S. workplaces: 93% of low-wage workers have no access to any paid family leave.. In 2019, the United States remains the only industrialized nation that does not provide universal paid leave benefits. After 26 years without landmark paid leave legislation, the time has come to not only offer family leave, but ensure all working families can access it. We need a federal universal paid leave policy to accomplish this goal. A lack of family-friendly workplaces is bad for both employers and their workers. Employers must deal with the costs associated with high turnover, and employees are forced to choose between advancing their career and caring for family members. The growing demands of caregiving can’t be ignored by federal policymakers any longer. According to a recent Harvard Business School study, almost three quarters of U.S. workers are caregivers in some capacity. Of those, 80% said that their caregiving responsibility made it harder to do their job. As a result, 32% of all employees surveyed said they left a job to accommodate their caregiving responsibilities. With women taking on a huge majority of caregiving, they are disproportionately impacted by a lack of paid leave. Women are twice as likely to stay home to care for a sick child, and three in five women say they have their care responsibilities on their mind when they’re at work. Our society can’t achieve true economic justice for all women when we offer them no support or legal protections to balance caregiving and a career. 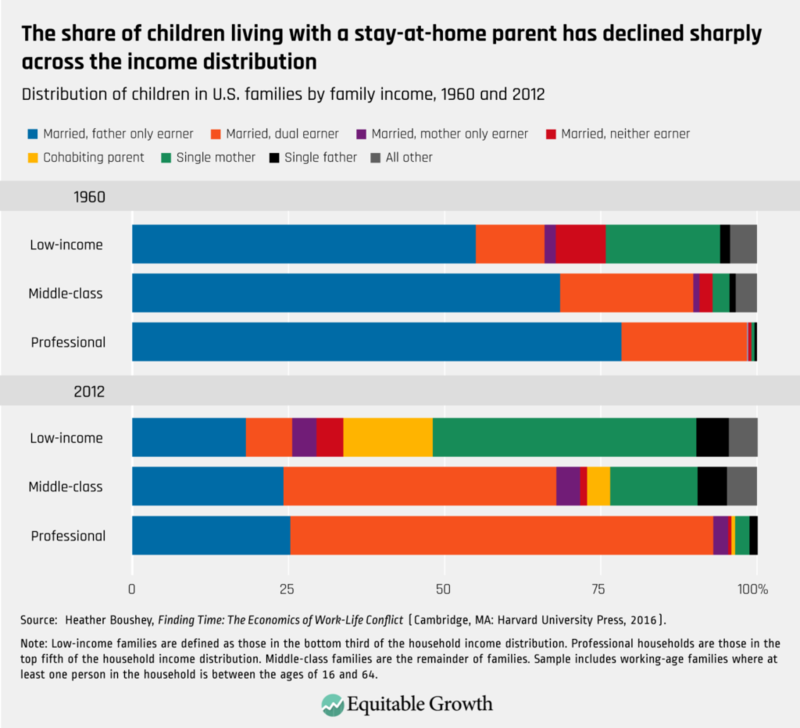 Government inaction on paid leave also reinforces the racial wealth gap. Already paid lower for the same work as their white peers, people of color are deeply impacted by inaccessible leave policies. Black women are the primary breadwinners for 70 percent of their families. They’re also more likely than white women to leave or lose their jobs after birth. By refusing to support black women in their careers, we create yet another structural barrier to push women of color out from opportunities for economic advancement. Let’s take the anniversary of the FMLA to push Congress to give working families, and especially working moms, the relief they need. It is not just the smart thing to do, it’s the right thing. We cannot call ourselves a family-friendly country until we do so. United States Department of Labor, Bureau of Labor Statistics, “Table 32. Leave benefits: Access,private industry workers,” National Compensation Survey, March 2018, https://www.bls.gov/ncs/ebs/benefits/2018/employee-benefits-in-the-united-states-march2018.pdf. This entry was posted in Emerging Justice Seekers, Front Page, Mend the Gap, Policy Update, Women and Families on February 5, 2019 by siena.